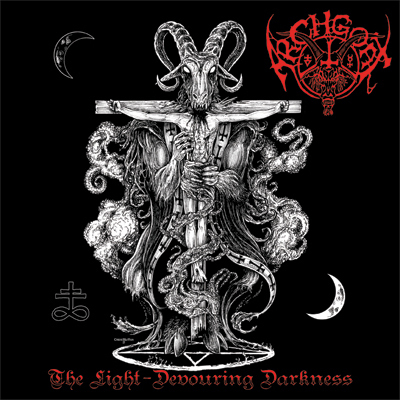 Finnish black crusaders ARCHGOAT will release their second album, "The Light-Devouring Darkness", in early February via Blasphemous Underground Productions. According to a press release, "revelling in pure, untrammelled hatred and blasphemy, 'The Light-Devouring Darkness' is uncompromising in its devotion to the barbaric traditions of the primitive black metal underground." The song "Apotheosis of Lucifer" is available for streaming on the band's MySpace page. Since Blasphemous Underground Productions will cease its activities after the release/promotion of "The Light-Devouring Darkness", an unholy alliance has been forged between ARCHGOAT and French label Debemur Morti Productions. The infernal pact will commence after the release of the new album.